The Bureau of Labor Statistics has excellent inflation data on their website. 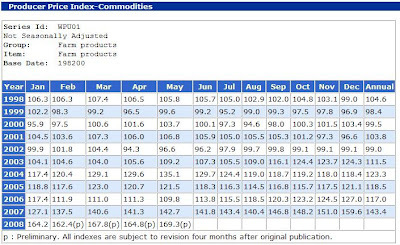 The Commodities data includes index data for Farm Products. The index began to take a second big move up in December and May 2008 reversed the move down in April. With the Mississippi River flood plains under water, food prices will most likely remain high this summer.